Books have been written, films made, we have raised the Titanic and watched her go down again on numerous occasions, but out of the wreckage Frances Wilson spins a new epic: when the ship hit the iceberg on 14 April 1912 and a thousand men prepared to die, J Bruce Ismay, the ship’s owner and inheritor of the White Star fortune, jumped into a lifeboat with the women and children and rowed away to safety. 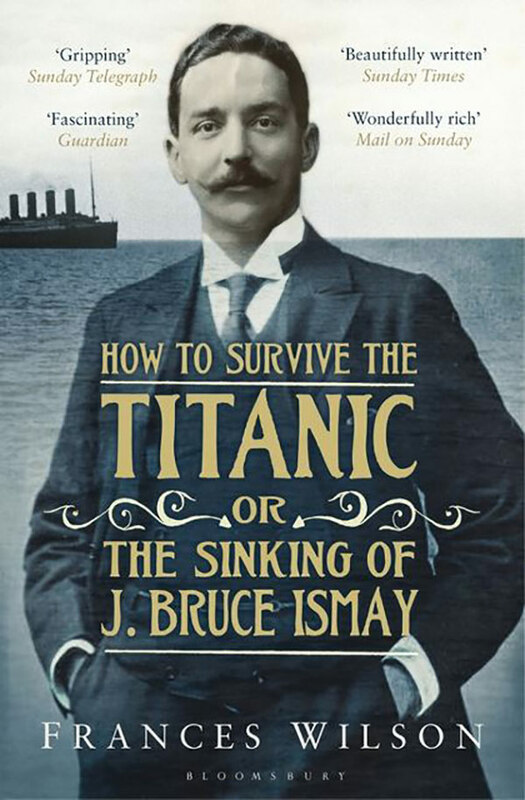 Accused of cowardice, Ismay became, according to one headline, ‘The Most Talked-of Man in the World’. The first victim of a press hate campaign, his reputation never recovered and while other survivors were piecing together their accounts, Ismay never spoke of his beloved ship again. With the help of that great narrator of the sea, Joseph Conrad, whose Lord Jim so uncannily predicted Ismay’s fate – and whose manuscript of the story of a man who impulsively betrays a code of honour and lives on under the strain of intolerable guilt went down with the Titanic – Frances Wilson explores the reasons behind Ismay’s jump, his desperate need to make sense of the horror of it all, and to find a way of living with lost honour. For those who survived the Titanic the world was never the same again. But as Wilson superbly demonstrates, we all have our own Titanics, and we all need to find ways of surviving them. Frances Wilson is a critic, journalist and the author of three works of non-fiction, Literary Seductions, The Courtesan’s Revenge and The Ballad of Dorothy Wordsworth, which won the Rose Mary Crawshay Prize in 2009. She lives in London with her daughter.